This weekend South Adelaide is celebrating Members Appreciation Round with some great rewards on offer for the Club's loyal supporters! South Adelaide Members who have attended each of the club's home games in 2017 (including this weekend's clash with the Crows) will receive tickets to this year's SANFL Macca's League finals series, while also being entered in the draw to win two tickets to attend the Official SANFL Grand Final Luncheon at Adelaide Oval. 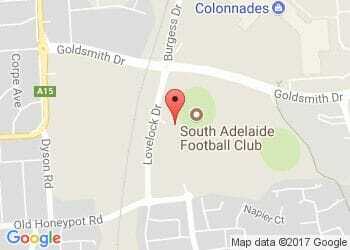 Eligible members will also receive a loyalty recognition certificate from South Adelaide and the SANFL. On the day 2017 Members can also enjoy increased Members' Discount around the ground, with discount on meals at Jimmy Deane's bumped to 40% and merchandise savings doubled to 20% off! Panthers Grassroots Members, who do not have admission to games included in their membership, will also be able to scan in at the gate and get into the game for free. All Members will also be able to bring a friend for free after being emailed a complimentary ticket to give to a mate during the week. The Club Ticketed Member must have scanned into all home games in 2017, including Round 18 - using the one ticket. Only paid, individual ticketed memberships are eligible for the prize. Excludes Players & Official and Sponsor allocated ticketing. SANFL Staff and SANFL Club employees are not eligible for the prize. The 2017 SANFL Macca's League Finals Series tickets are General Admission. Eligible ticketed members will receive a double pass to each week of the Finals Series (four weeks). Each club will receive a double pass (two tickets) to the SANFL Macca's League Grand Final Official Luncheon. This double pass is to be given to a Club Ticketed Member who has attended all nine home games in 2017. Member & their guest must be over the age of 18 to attend the Grand Final luncheon. This is strictly non-transferable.